I was deliberating if I am still going to write my traditional “good bye year ___” post because I already posted an entry about 2012. But since my earlier post was a photo challenge, I decided to write a more unique post for 2012. I call this my “best moments” post since I’m going to describe some of my favorite happenings in my life this year. I am a proud daughter and sister. For a family that’s been though much up and downs, a simple step up the graduation stage is enough to drive me to do better for a lifetime. For someone who is afraid of the water and who doesn’t know how to swim, I really have a strong gut. I was able to to paddle through the 14 kilometer stretch of Davao River and even fell in the strong rapids three times! But boy, that experience was so exhilarating and it will be definitely be in the “craziest things I’ve done” list for a while. I can say I’ve been really blessed this year. I’ve been everywhere from north to south of the country and there’s hardly any dull month. I didn’t encounter any major problems in both my personal and working life. But above all the places I’ve been to and happenings that I attended, I must say that it’s the people I’ve been with that made this year very memorable. I am very lucky to be blessed with a supportive family, stellar friends and great workmates. I can almost say, I couldn’t ask for more. That’s how great this year has been for me! So cheers to a great 2012 and to a hope that 2013 will be as stellar if not more stellar! TvN is having the time of its life this year. They have produced and are still producing some of the most underrated Korean drama/series so far. Underrated shows as they are, I found them made of better of quality, heart and story than most of their mainstream counterparts from KBS, SBS, and MBC. My affair with TvN started last year with Flower Boy Ramyun Shop. Though I didn’t entirely love that show because of the cheesiness of the script and I can hardly stand Jung Il Woo’s Cha Chi Soo, it provided a such a good laugh. Most of the cast were not yhet A-listers but they had such good camaraderie and I had loads of fun watching them. I thought that it was the last TvN show I would watch but then Dramabeans recapped Shut Up Flower Boy Band. I tried reading the first episode, watched it, loved it and the rest they say is history. I often end up disliking Korean youth-centered shows (e.g. Boys Over Flowers, Heartstrings) because most of the time that the shows become too focused on the love story of leads and the conflicts are larger than life. However, Shut Up has the atmosphere of Japanese youth-centered shows like Gokusen and Hana Kimi where the teens/kids themselves, their dreams, their friendship, the realistic conflicts they encounter at such age are the focus of the story. And I loved it. Learn from Shut Up (and also Dream High to a certain extent) Kshows, during teenage years, not everyone is too concerned about love. Give the kids a time to discover their dreams and their selves before they go on proclaiming their undying love. 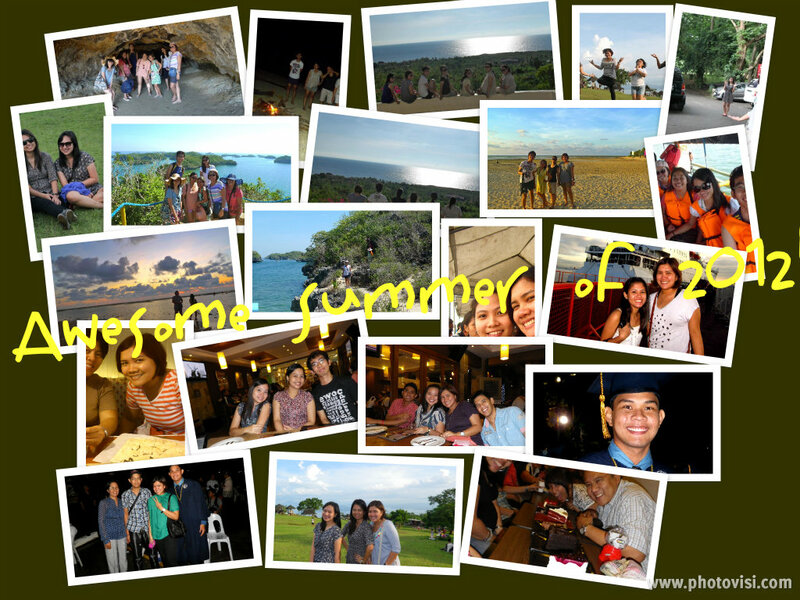 The theme for this week is SUMMER! A visit to the MV Logos’s Hope. Miko’s graduation. PCHRD’s team buiding in Subic. Holy Week in Bicol. Despedida lunch for Sir Mike. My 23rd birthday. Mamaw’s bash for April celebrants, board passers, and Jill’s despedida. Trip to Pangasinan. Roadtrip to Tagaytay. Kidding aside, 2011 has been a good year. I can’t help but be thankful for the blessings God has given me and family. Two of biggest prayers were answered: for my kuya to have a job and for Miko (bunso) to graduate already. On a personal note, my year was neither bad nor great. Just good. And I think that’s where my dilemma stems. I tried new things but I am still very much in my comfort zone. And so I’m still stuck in a limbo and my era of “soul-searching” persists. At times like this, I can’t help but be pensive. Another year, another chance… Chance to prove myself, chance to do what I failed to do, chance to improve, chance to look for answers to my questions, etc. 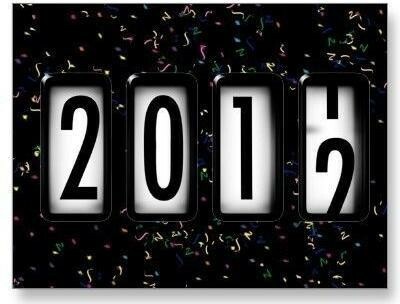 So hello 2012, I can’t wait for you to arrive! There are so many things that need to be done and I can’t wait begin this new journey with my first step!